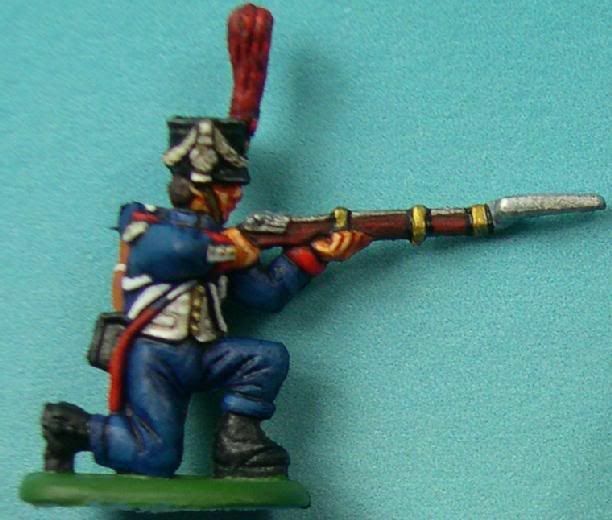 "This is the Chasseurs component of the Old Guard (the other main component being the Grenadiers). 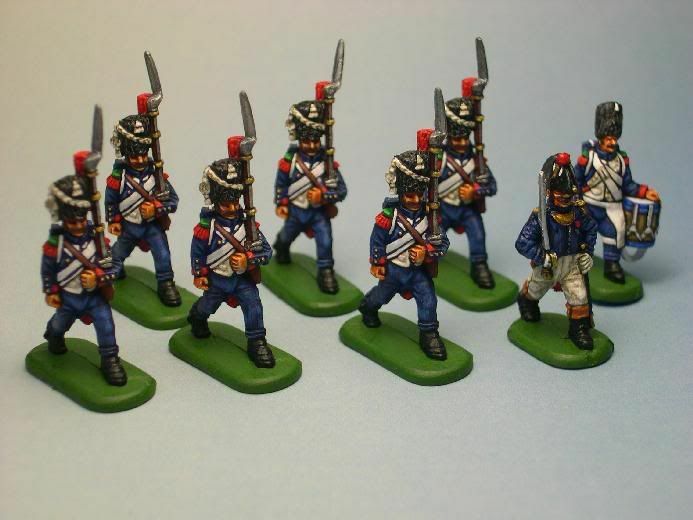 Despite being half of the Old Guard and doing more than half of the fighting, the Chasseurs of the Old Guard have never been made before in 1/72 plastics. 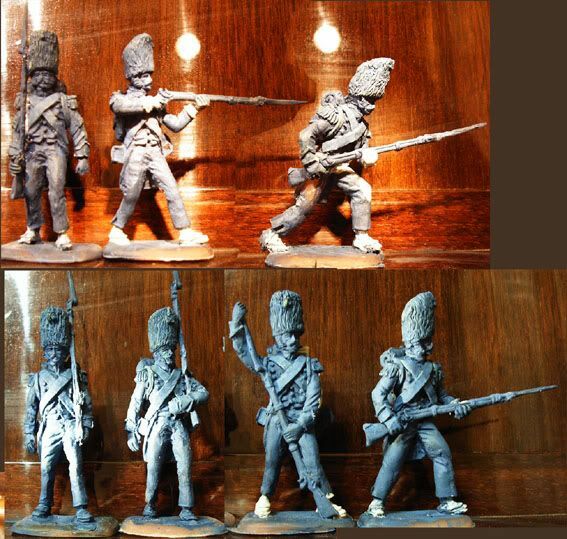 The Grenadiers, however have been made by 4 times, by every major plastics company. 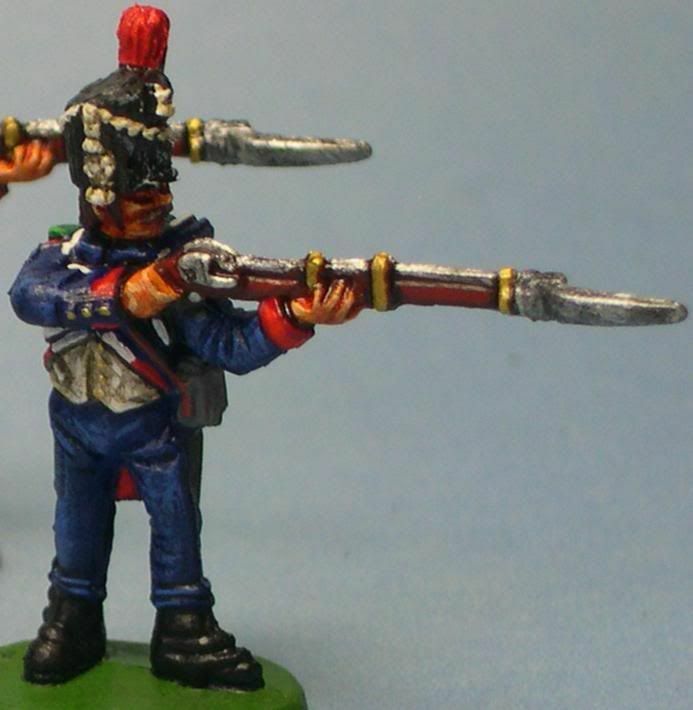 Picture of unfinished HaT Chasseurs of the Guard set here. 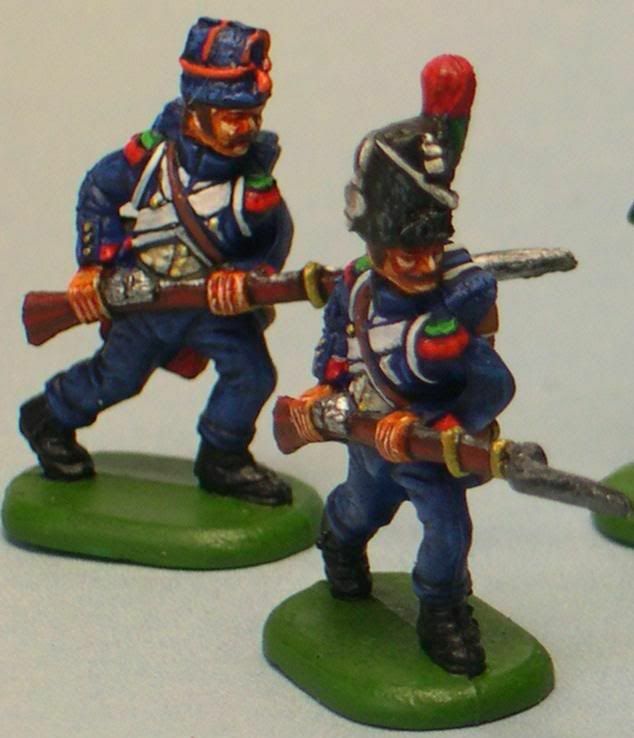 Close ups of a soldier, officer and head-swapped drummer. 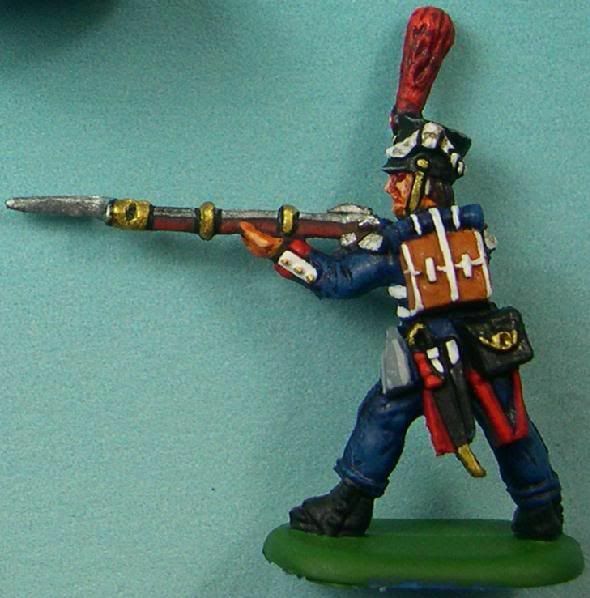 Some distinctions between the Grenadiers and the Chasseurs include bearskin without front plate or top patch, cuffs, trim, colors, pay scale and not being made in plastics. 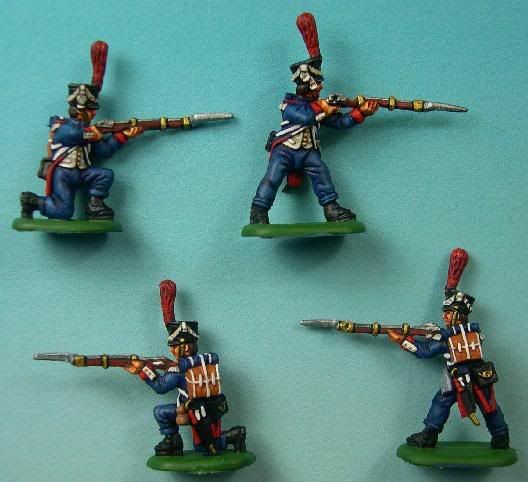 Fusilier Grenadiers of the Guard. 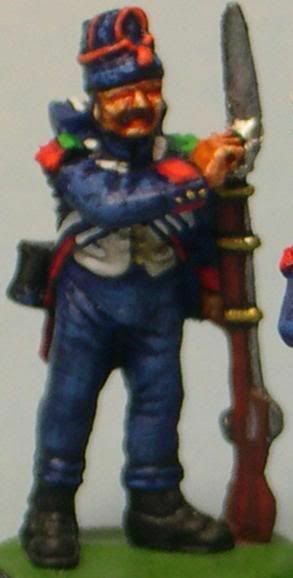 The Fusilier Grenadiers formed part of the Middle Guard. 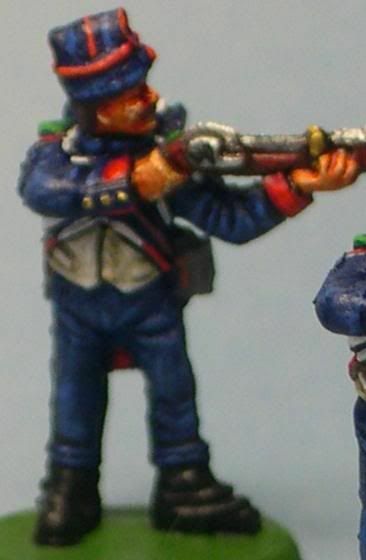 It can be said that the Middle Guard were the strongest physical component of the Imperial Guard as the Old Guard were older men in their 40's with years of service, cynicism and food under their belt, and the Young Guard were youngsters not yet in the prime of their life. 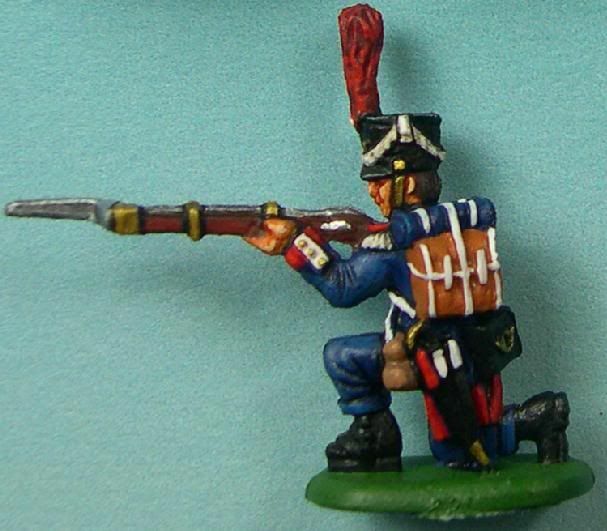 The Fusiliers have never been made in plastics. 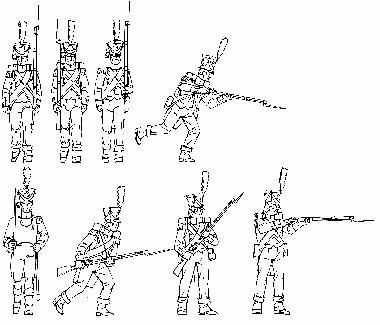 Line drawing of upcoming Fusiliers can be found here. 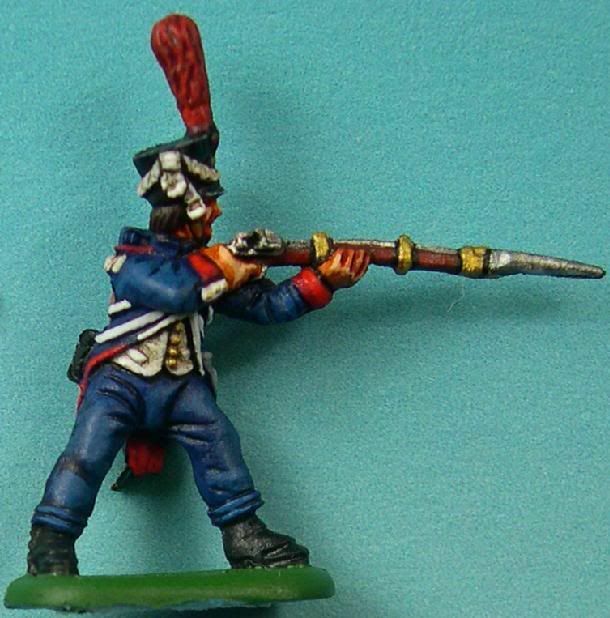 Many thanks to Mr. Arnal.